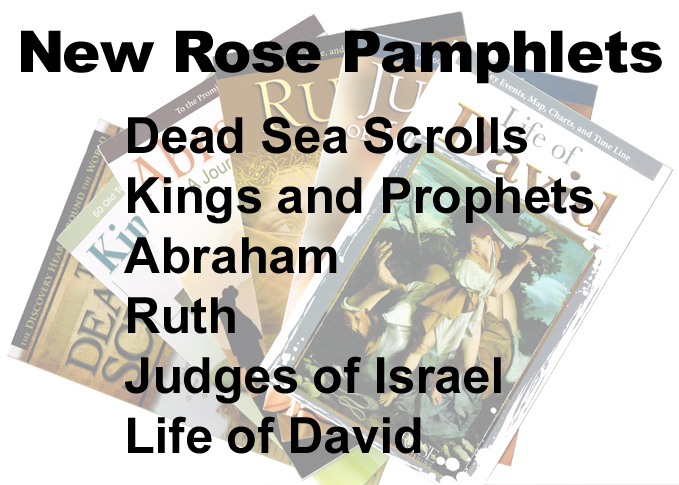 Most are familiar with the Rose Then and Now Pamphlet with useful Maps, and with their many Timelines. They have published a number of useful pamphlets on Bible Books and Bible People, and well as reference pamphlets on many subjects. PLEASE NOTE: DO NOT ORDER FROM THIS PAGE. Search by "Rose" and pick the title you would like. Otherwise we do not know what title to send!